3. 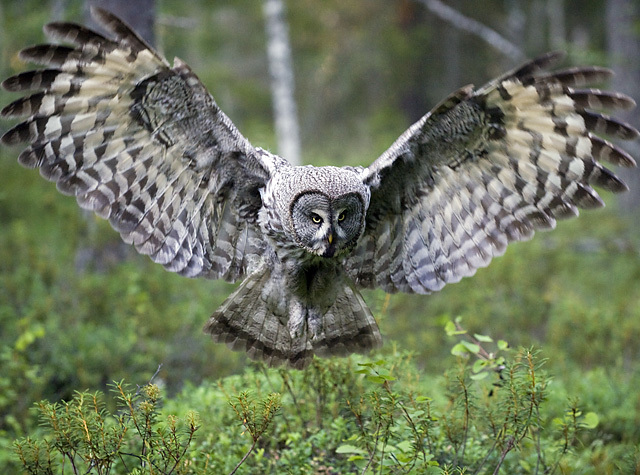 The largest owl by length, is the Great Grey Owl, which measures around 70 cm on average, but can reach a length of 84 cm. But does size really matter? 4. How cute is this little fella? He’s the Elf Owl, the smallest of the owls, coming in at a miniature 31 grams and 13.5 cm (5 inches) in length. Who wouldn’t want one? 5. As the owls are a bird of prey, they must be stealthy and quiet. Their beautiful plumage and specific markings can render them almost invisible in certain conditions. The serrated edges of their feathers also help reduce noise, so mind yourself! However, in Western society the owl is associated with wisdom and this is the way I will always think of them. It’s just been one of those weeks, where everything I’ve touched seems to break! Apart from a long week at work, breaking the work bus then breaking half the things at home today, I was starting to get a little paranoid and frustrated with myself. So I sat down today and decided to write out my frustrations with another short story. It’s a fantasy and perhaps a little on the dark side, but it certainly suits my mood today. And having written, my mood is just about back to its usual cheerful self. So take a look if you dare, at The Weeping Willow. I hope you all enjoy.